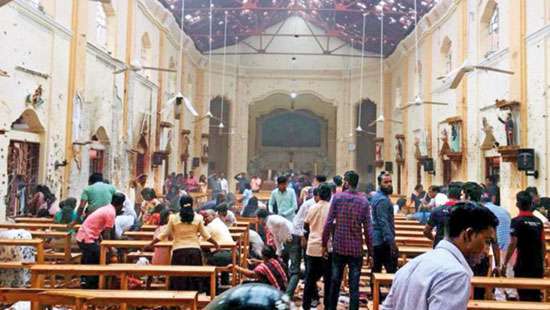 Colombo was calm and quiet on Tuesday (January 15) celebrating Thai Pongal despite the political scene hotting up due to some sensitive utterances by TNA Parliamentarian Abraham Sumanthiran. The Tamil community is at peace and can celebrate their traditional events freely, thanks to the absence of a civil war which ended in 2009. The past nine years has been eventful in the island with three regimes serving the people. 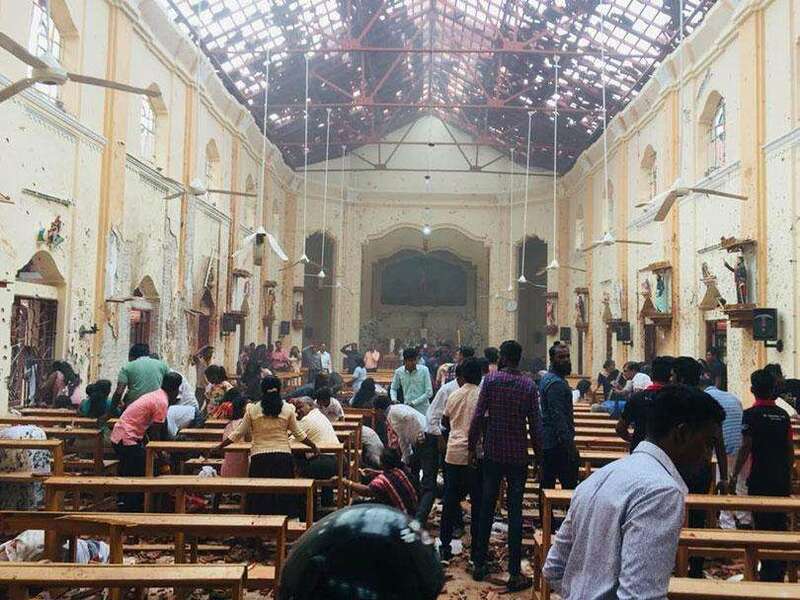 What’s significant about these changes is that whenever there was a Mahinda Rajapaksa led regime the lawmakers delivered in the form of improving on or rebuilding material aspects associated with the minority communities. In contrast the UNP led regime through their actions and decisions delivered in the form of nourishing the minds of the Tamil people. The minority Tamils had a bigger say initially under the Yahapalana regime and now under the UNP-led Government. The talk in the political scene these days centres around the proposed new Constitution. What has generated concern is parliamentarian Sumanthiran maintaining that the word ‘Orumiththanadu’ which is the Tamil translation for ‘a united state’ has nothing dangerous about it. The opposition parliamentarian members have voiced their disapproval regarding the Tamil version of the phrase that includes this word. 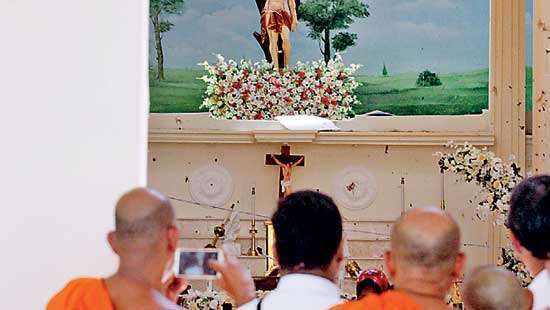 By Tuesday several Buddhist monks aired their views for and against the proposed new Constitution. It’s significant to note that EPDP Leader Douglas Devananda has said that the word ‘Orumiththanadu’ should be replaced by ‘Ochchaiachchi’-which probably is a better and more accurate word for the Tamil version of the word ‘united state’. 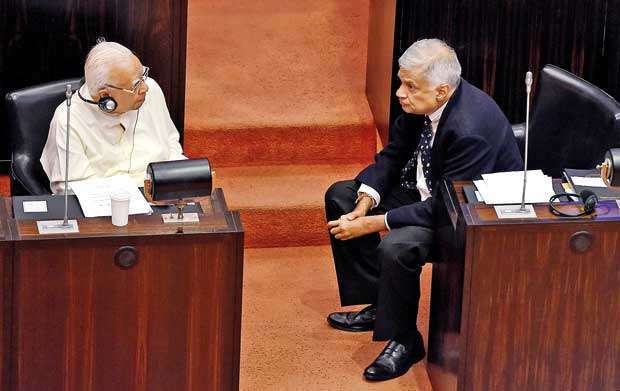 Given the present scenario Premier Ranil Wickremesinghe is hellbent on getting the new Constitution passed in parliament. The proposed new Constitution has made provision for Sri Lanka to be recognised as an ‘Ekiya Rajya’, establish a second chamber and ensure a 233 member parliament is elected under a mixed electoral system. 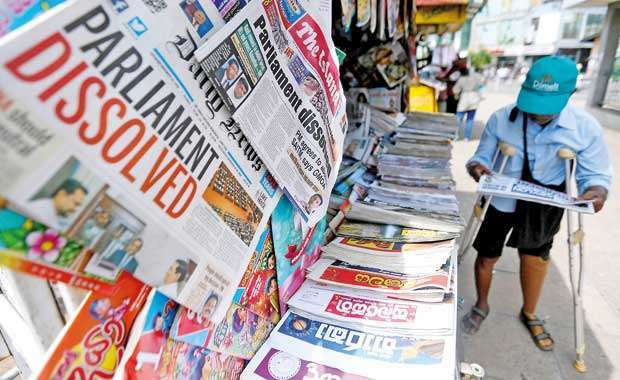 However voices of dissent have opined that the report made regarding the proposed new Constitution, and compiled by an expert panel that functions under the Constitutional Council, is cheating both the Sinhalese and the Tamils. They claim that the proposed new Constitution promotes the thought or creates the path for federalism to be established; hence they would defeat the proposal in parliament. The Tamil community at large is peaceful and most importantly boasts of having a sizable percentage of intellectuals among them. The Northerners are ‘Cholas’ or warriors and have the tendency to see their blood boil when being suppressed by those who wield political power. This nature in them saw the commencement of a civil war which crippled this nation and caused loss to Tamil lives, their culture and property. This history underscores the fact that the new Constitution could make the sun shine on the minority Tamils. In this context the doing away with the old Constitution and ushering in a new one should be done smoothly without annoying the Sinhalese majority. Veteran politician and TNA Leader R. Sampanthan must choose his words wisely. The former leader of the opposition has said that President Sirisena, Premier Wickremesinghe and Mahinda Rajapaksa should support the proposed new Constitution to avoid a ‘bloodshed’. The last part of his statement to the print media referring to a ‘bloodshed’ is appalling because the Tamils don’t wish to return to arms. The majority Sinhalese couldn’t visit the north during the civil war. But after 2009 they have been able to do that. This just confirms how freely members of any community can travel within Sri Lanka if there is no conflict. Racists might counter argue that the Sinhalese people can visit the north because the LTTE was defeated. The latter view is not something to ponder on especially for those who see conflict as a monster who survives on destruction and the lavish spending on arms and ammunition. The monster in the form of a war was laid to rest. But it left enough of a past to ignite thoughts of revenge and also that of perspective. 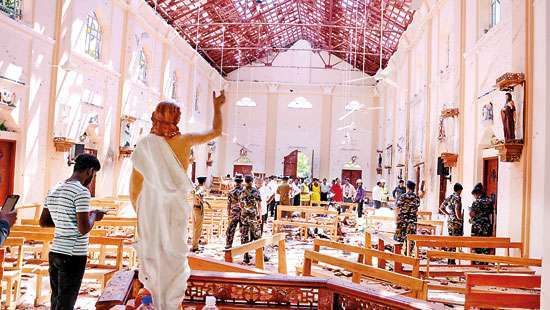 What a country like Sri Lanka needs right now is to ponder on ‘reflection’ and reconciliation. But the problem with politics is that it makes people think like animals. There was a time when the big and powerful dominated the small. Now what’s happening is that those who can think fast and see far are controlling those whose minds aren’t functioning fast enough. The TNA has seized the opportunity to offer support to the UNP led Government- which would be wishing to have the numbers to get the new Constitution passed- and obtain benefits for the Tamil community. To its advantage the TNA is dealing with a regime which takes the world’s opinion on this country very seriously. Hence the UNP led Government will accommodate the wishes of the TNA when working towards establishing the new Constitution. The UNP and the TNA have their thinking caps on. The Mahinda Rajapaksa led opposition is harping on the past and calling for parliamentary elections. The Rajapaksa led opposition must fathom one thing; the voters who are game changers prefer to wait and watch right now instead of going for elections.